Today, when the trends in business are shifting so quickly even over the internet based websites, we all need strong and powerful techniques that can be followed to help our business stand tall among competitors. Even though most of the business owners, as well as the digital agencies, are very well informed about the concept of SEO (Search Engine Optimization), still, they are not able to use its related techniques effectively and efficiently to get the best results. 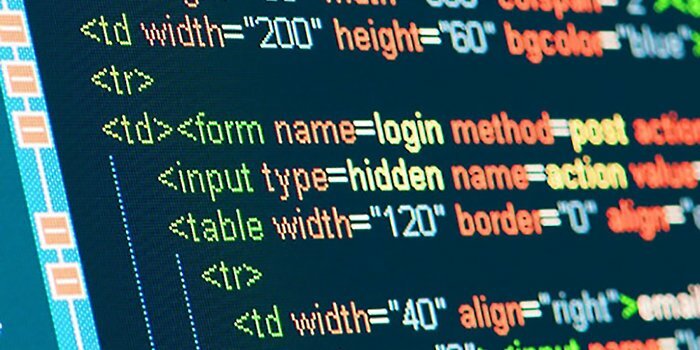 Here we have 7 great techniques that can be followed by a web development company to code a website in a better manner from SEO point of view. After all, every business no matter small or big, local or international wants to hold the grip on front search page in their region of operations. SEO can be very advantageous for adding marketing value to your business website and the basics start with content or rather it is better to say Keywords. However, the earlier days of SEO were only centred at finding relevant keywords that are having low competition and high search volume for stuffing over web pages. But now the trend has shifted to topic-oriented information with a major part of the keyword used in the topic. Actually, the idea can be understood as a visitor-focused approach rather than targeting keywords which are approached by your counterparts as well. Most of the websites try to go for blogging options but the common mistake which they perform is they keep on moving towards new content. But actually, the right approach should also include targeting the existing content through the medium of audits. This means you can look for the existing information and use it to develop new blogs and pages by merging interesting facts, or you could even remove the content which is no longer useful for your business. If we talk about auditing detail, all you need to do is seek Google search console to locate associated keywords with the topics you develop and creating internal links for the past content which can be helpful and supportive to your current posts. Backlinks are a great way to promote our business using external sources. You can also call it as asset development through links. This can be interpreted as developing the content asset that is unique and effective in ensuring backlinks from related websites. Such arrangement can be very beneficial in bringing more visibility to your business and creating backlinks is not only about written content but we can develop useful and strong backlinks using the visual media like images and videos. We are all very familiar with irritating 404 pages or error messages. We have to deal with them due to the irrelevant search keyword use or maybe because of the removal of the searched page on our website. This can make the user turn back and go for other options. But from the SEO perspective, we can never let anyone move to some other website if they have tried visiting our page. For this, we can develop customized 404 pages that can be used to inform the user about their irrelevant search. Also, we can provide some link to other service pages that can be helpful to the user for getting a particular resource, depending upon the search made by them. From past few years, people are targeting a new way to increase their business reach and it is the social media. There are so many business owners and developers who are not taking the advantage of social media handles like FB, Twitter etc. to promote their business. It is also a great move to build a better network of clients or users using powerful advertising tools like Facebook Ad Campaign. This campaign enables you to reach for value-based lookalike audience helping you in identifying the profitable customers who can actually add value to your business. Speed Is All We Seek! Google, SEO tools, and user itself offers a large number of opportunities to your business that you can reach out for getting your website ranked on the top or front page of SERP listings. All we need to do is a little more homework and study of the market with the above-mentioned SEO techniques just to get our business outreach even beyond the limits which we have in our mind.